Kimberly Stuart has always treasured a good story and a good laugh. When she’s not engrossed in the charming chaos of motherhood, Stuart writes stories that are intended to make readers laugh often and cry once—maybe twice. Kimberly resides in Des Moines, Iowa, with her fantastic husband and their three wily children. "A heart-warming, faith-based tale of a driven woman struggling to straddle small-town life with big city aspirations." Full of whimsy and soul, its big city and small town settings and quirky cast will enchant and delight you. 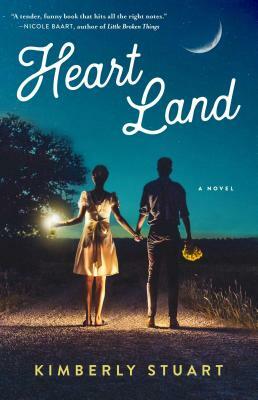 Heart Land is a fun-filled romp with heart! Stuart has a fun, lighthearted voice, which is exactly what the world needs right now! If you're in need of a humorous pick-me-up with romance and warmth, this book comes highly recommended. "A love letter to small-town Iowa... Sweet and honest, I'm tucking Heart Land onto my keeper shelf."